This lovely elegant decanter is by Daum Nancy France. 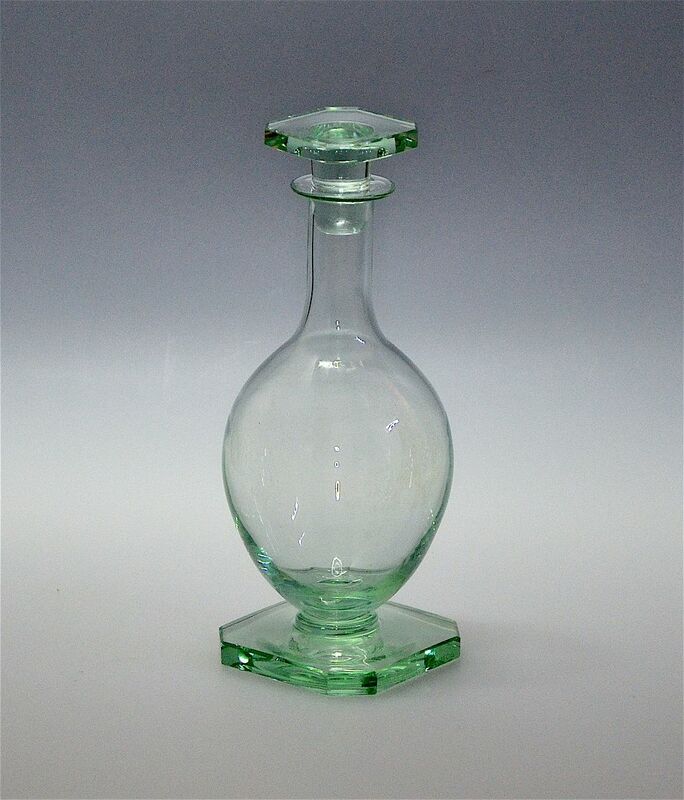 Made in the 1930s-40s it has a broad octagonal base supporting a long necked collared bottle with a simple stopper with a flat octagonal top. One side of the base is signed "Daum Nancy France" and has the Cross of Lorraine mark. It will look beautiful full or empty!